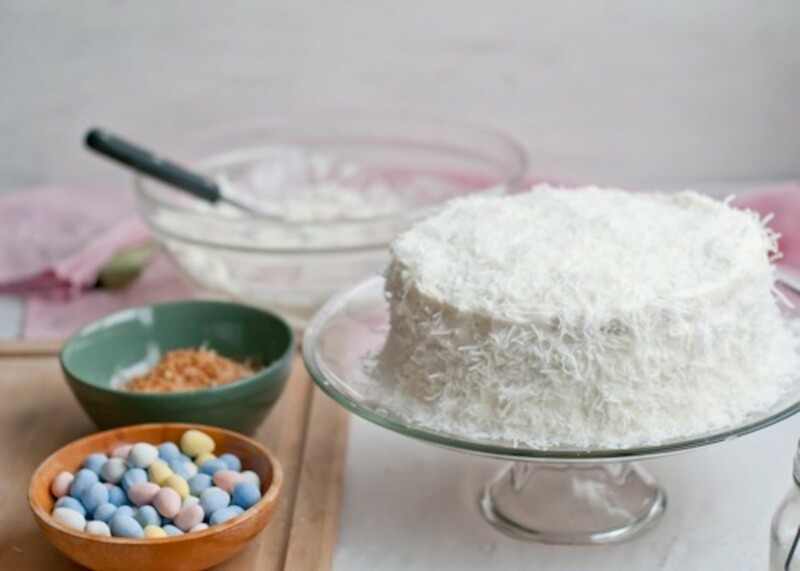 The cake was frosted with billows of fluffy white frosting and covered with shredded coconut. 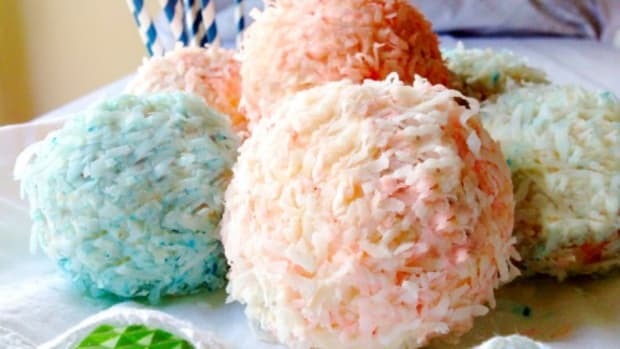 She would tint some of the shredded coconut green and make little nests on top and fill them with brightly colored jelly beans. 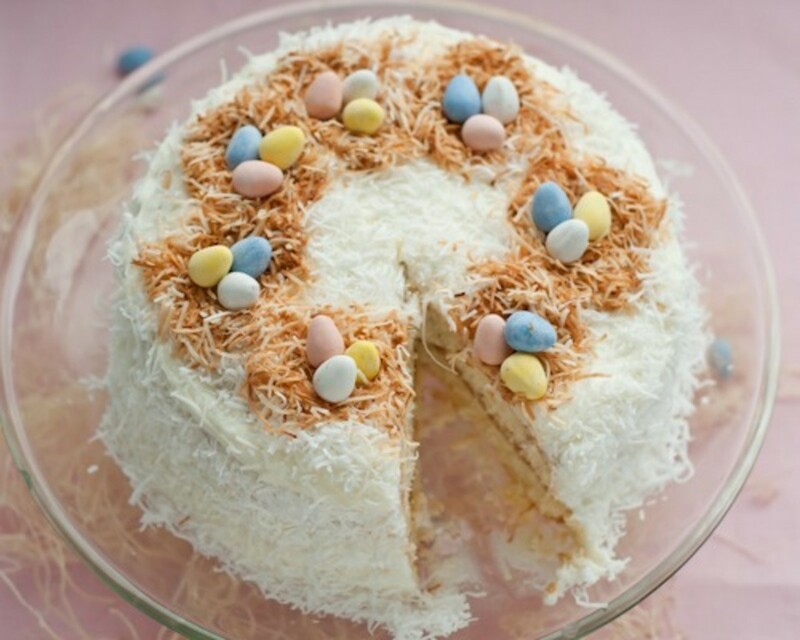 This is my rendition of her traditional coconut cake. 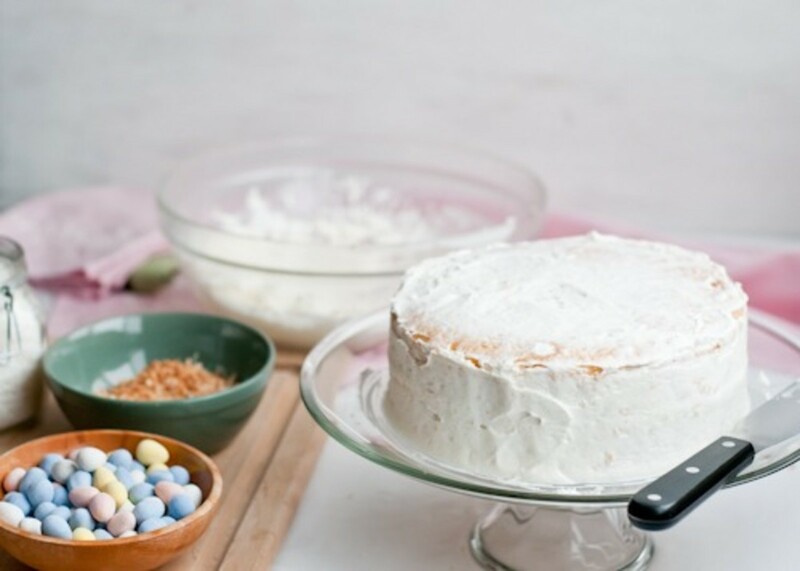 To make things extra easy, I use a doctored cake mix. 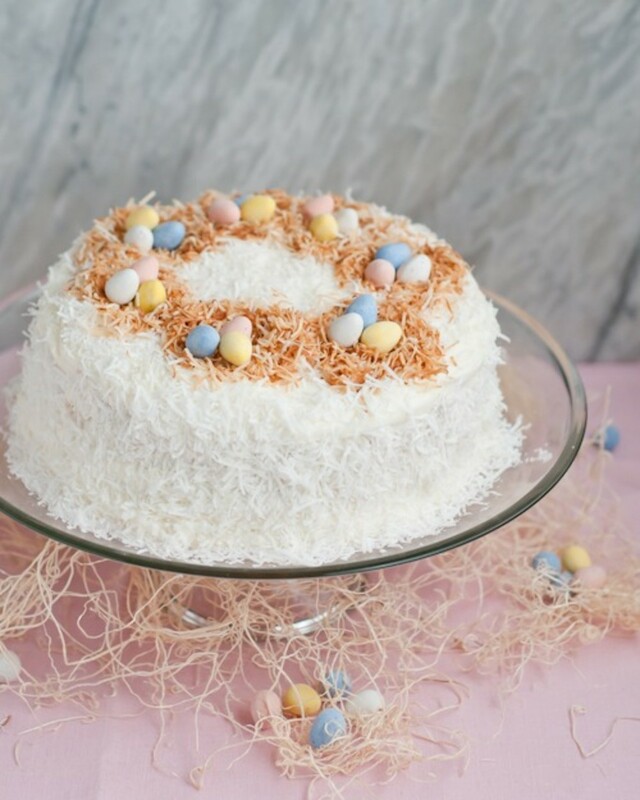 Time after time when I serve this cake, everyone asks for the recipe. 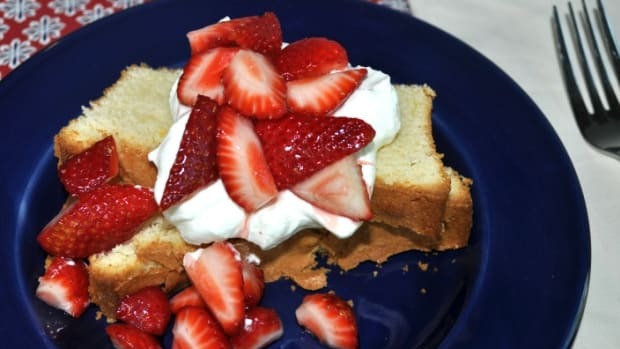 It tastes like homemade! 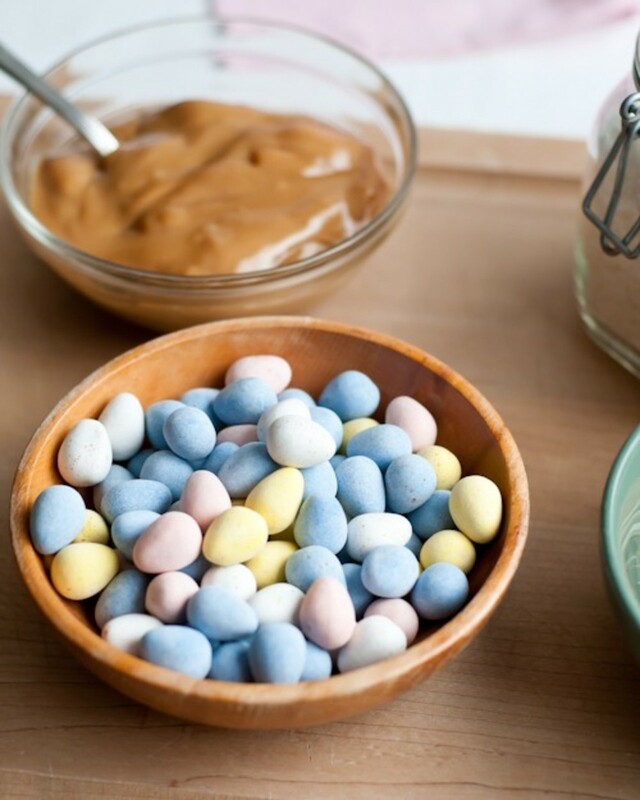 I traded in the green food coloring for toasted coconut and instead of jelly beans, I used milk chocolate Cadbury mini eggs. 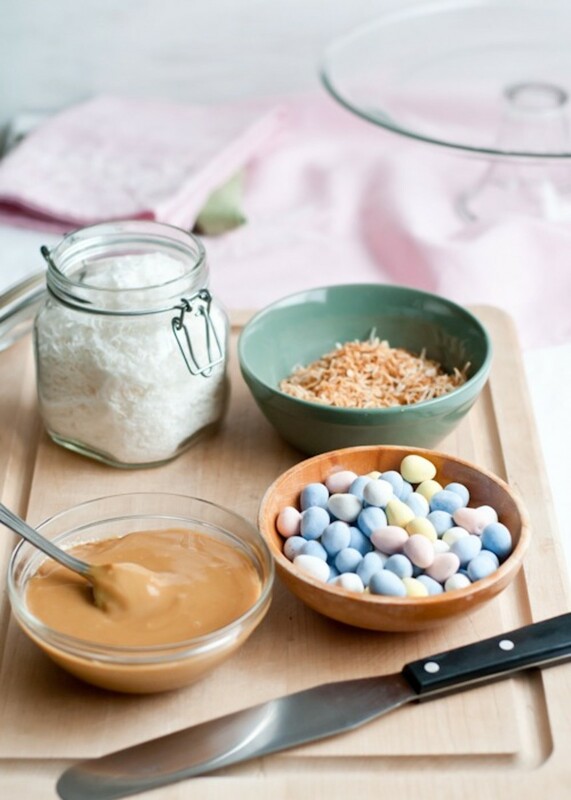 Because who doesn’t love those addictive little eggs and their irresistible candy shell? 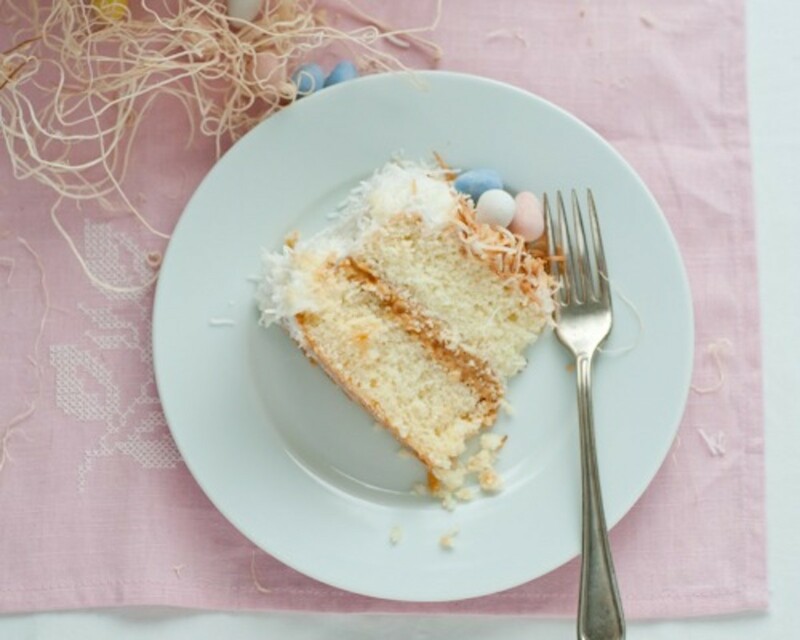 Plus their pastel colors are very pretty on top of the coconut cake in the little brown nests. 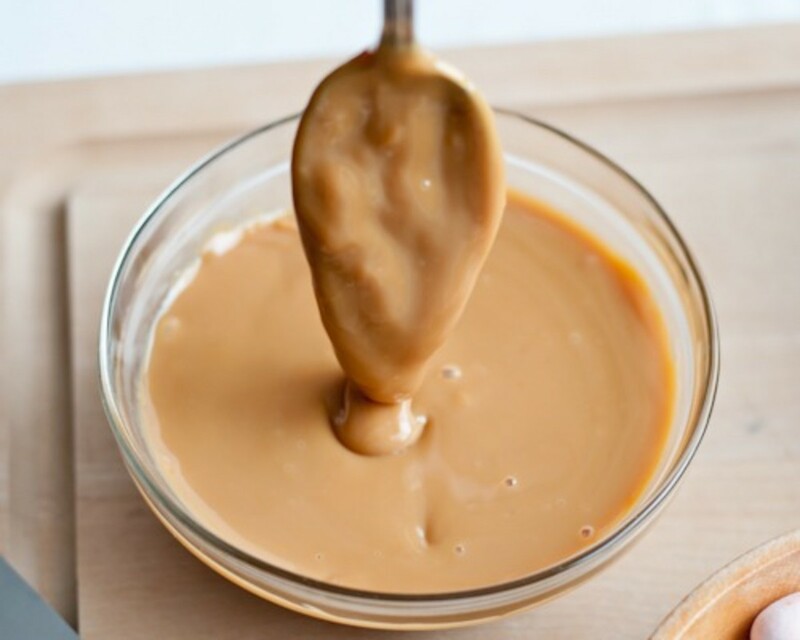 The other change I made was to fill it with dulce de leche, the favorite of my husband and children. 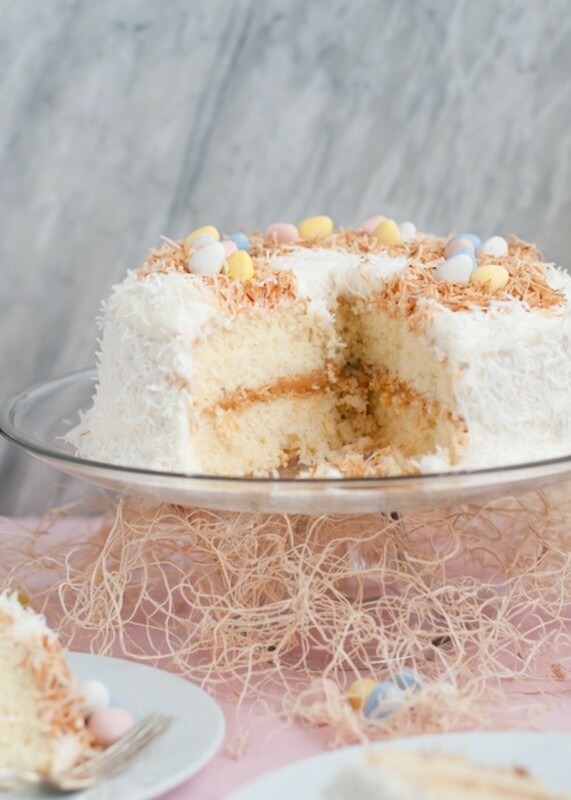 It’s perfect with the coconut and the next day or so, if there are any leftovers, it sort of soaks into the cake. 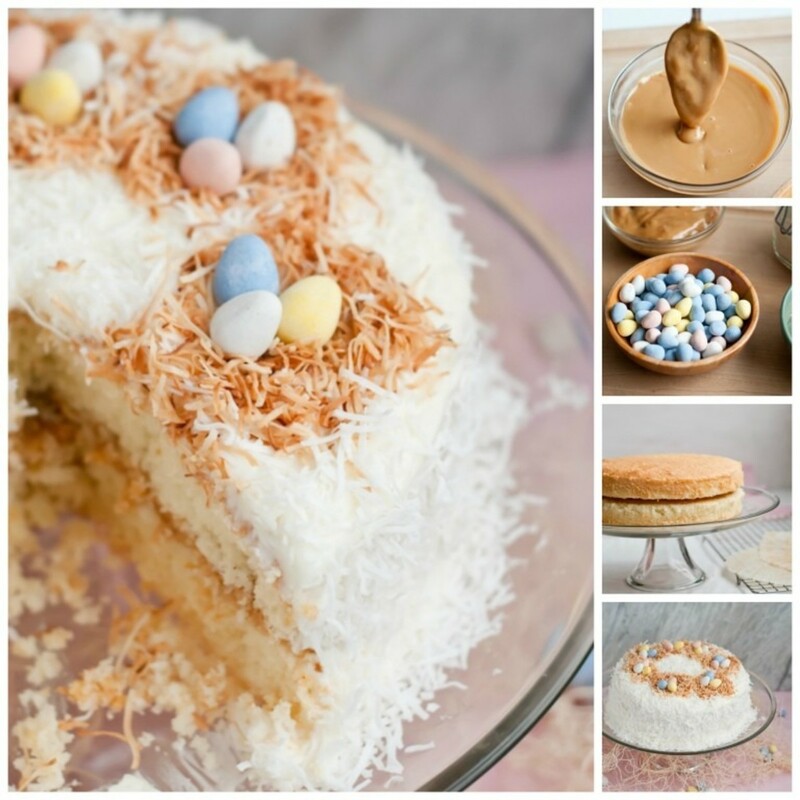 Think: caramel tres leches cake. 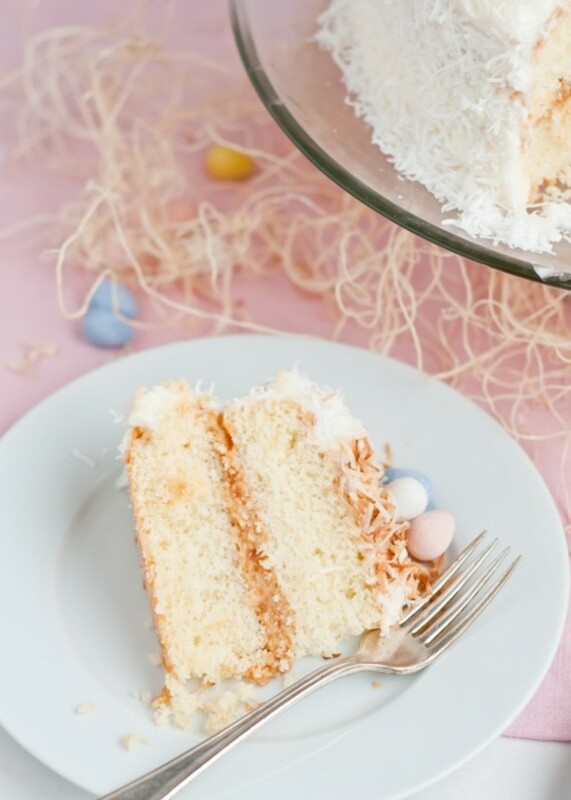 Oh mama, this coconut cake is good! 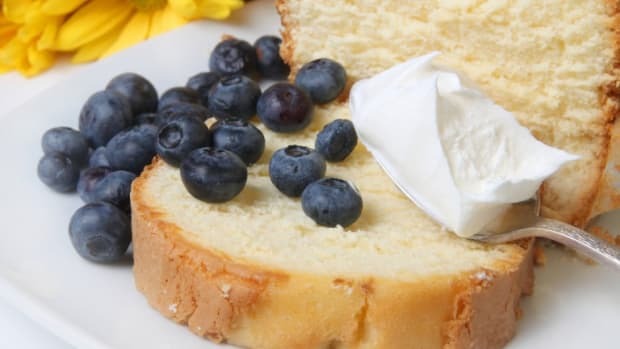 It could also be filled with tangy lemon or lime curd, your favorite jam, or even chocolate ganache. 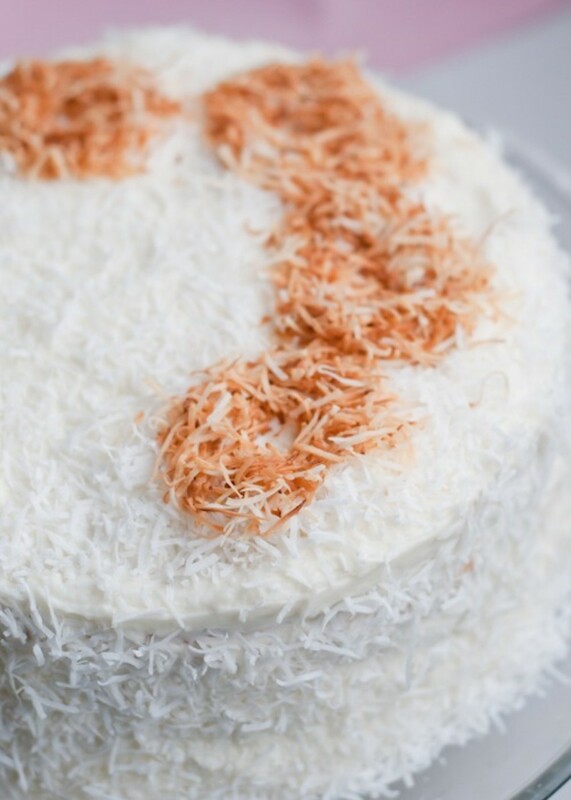 I really love coconut, so I like to make sure it’s in every component of the cake. 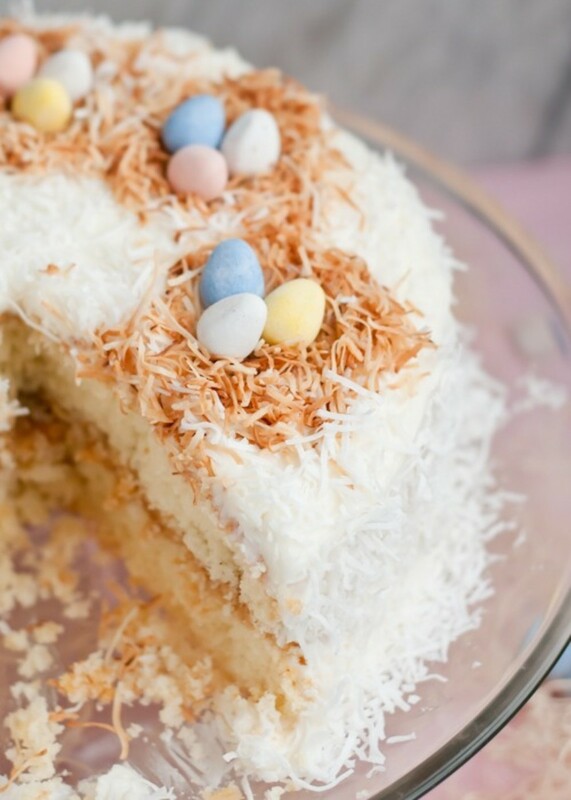 The frosting is a basic butter-powdered sugar buttercream, and instead of milk, I use coconut milk. 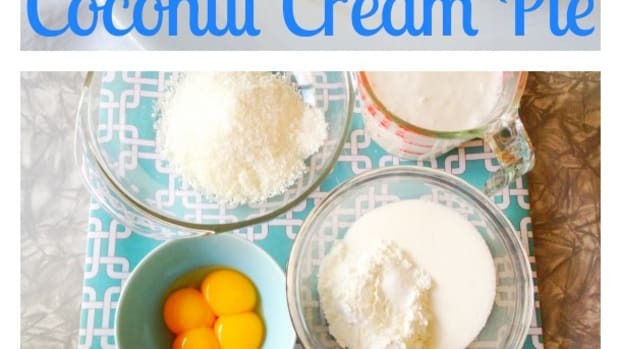 For even more coconut flavor, you can also melt a tablespoon or so of coconut oil and beat it in, or use a little pure coconut extract. 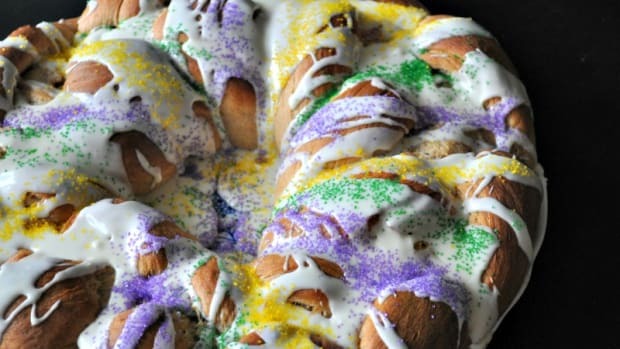 Not that imitation–you don’t want it to taste like suntan lotion! Preheat oven to 350 degrees. 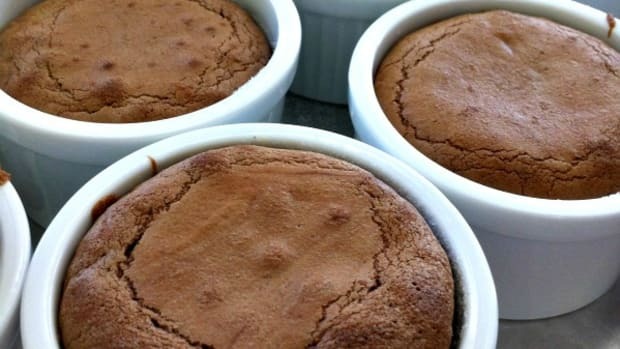 Grease two 8 or 9″ round cake pans and dust the inside with a little flour. 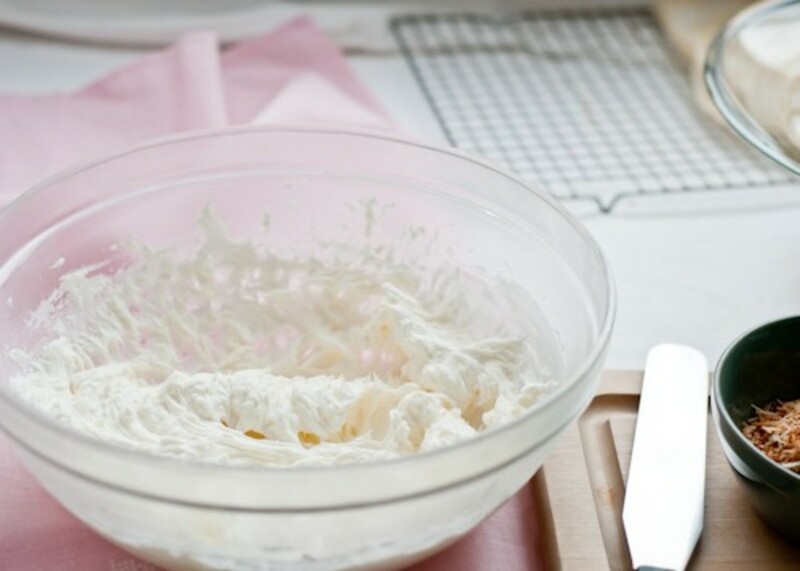 Line each with a round of wax or parchment paper. 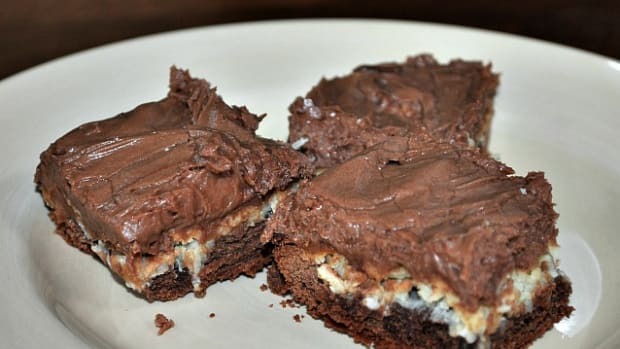 Grease the wax paper. 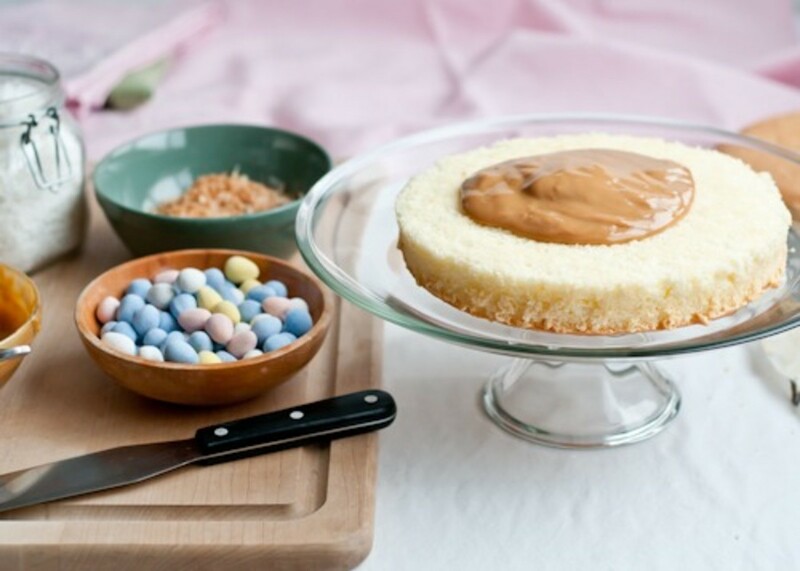 Place on of the cooled cake layers on a cake platter or serving plate and top with the dulce de leche. 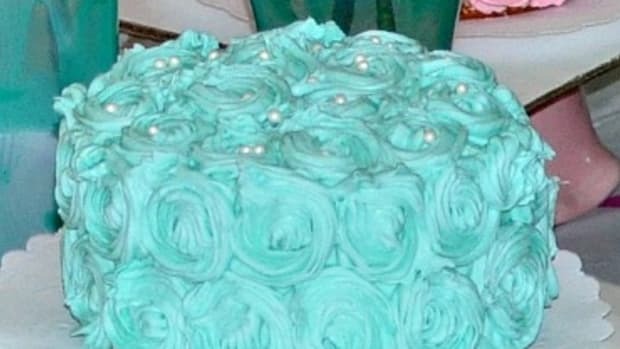 Spread over the cake layer, leaving about 1/2″ border to allow for a little more spreading when it is topped with the second cake layer. 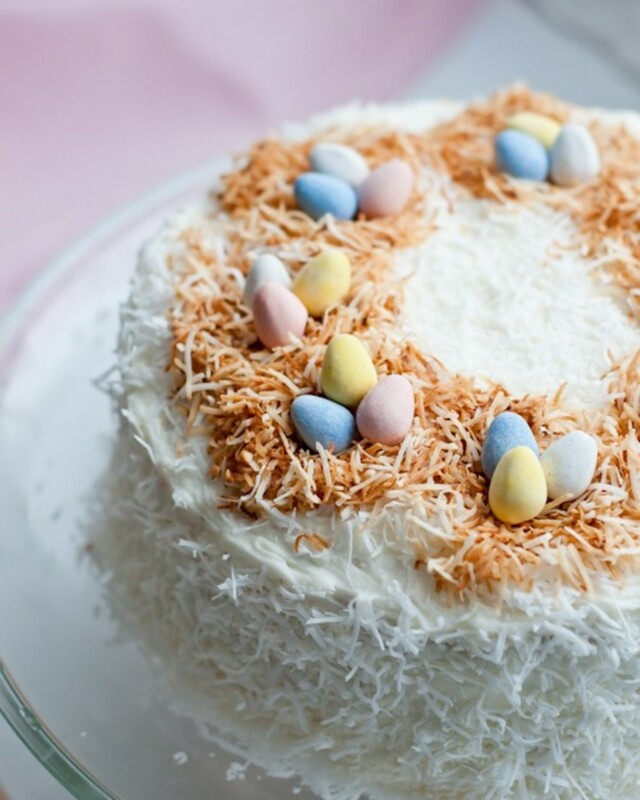 Chill until ready to top with the frosting. 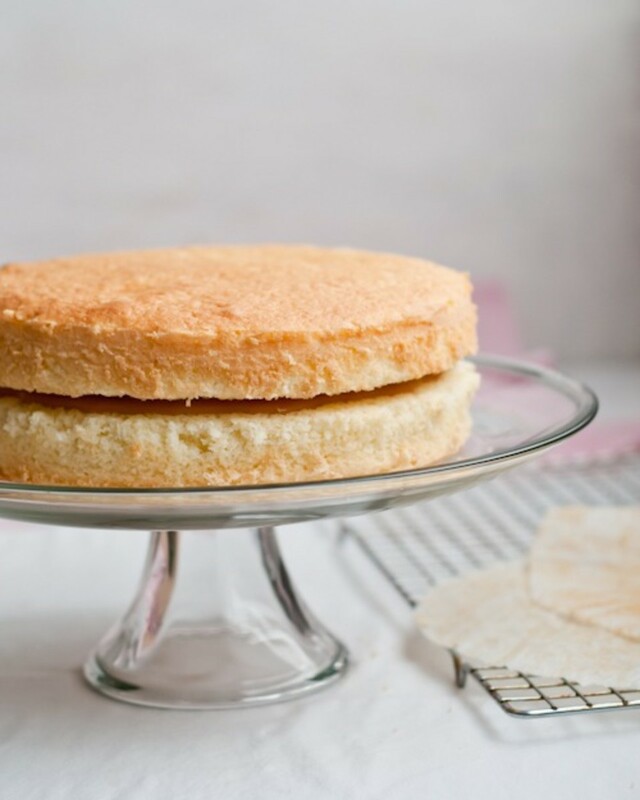 Yield: One 8-9″ layer cake, 8-12 slices.